As usual you can find some great bargains on eBay! 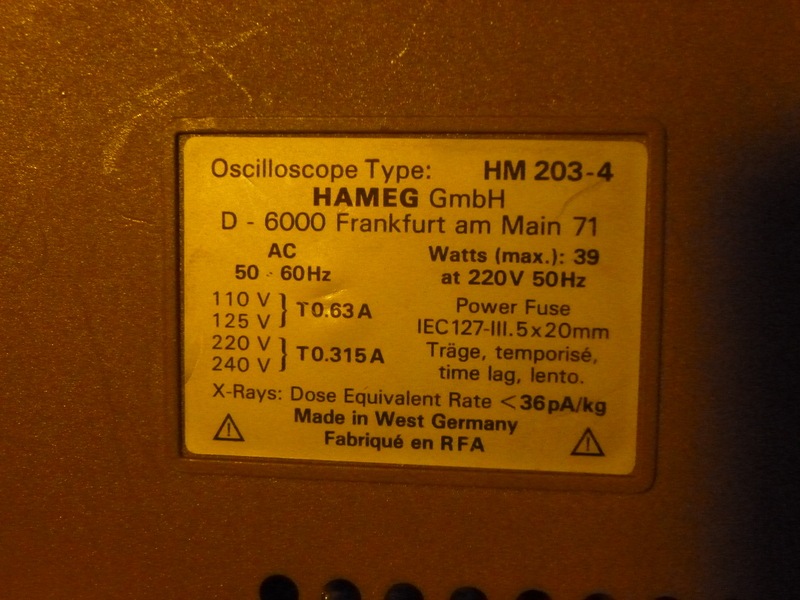 A few weeks ago I brought my first oscilloscope, a Hameg HM203-4, on eBay for £14.51, quite a deal I think. 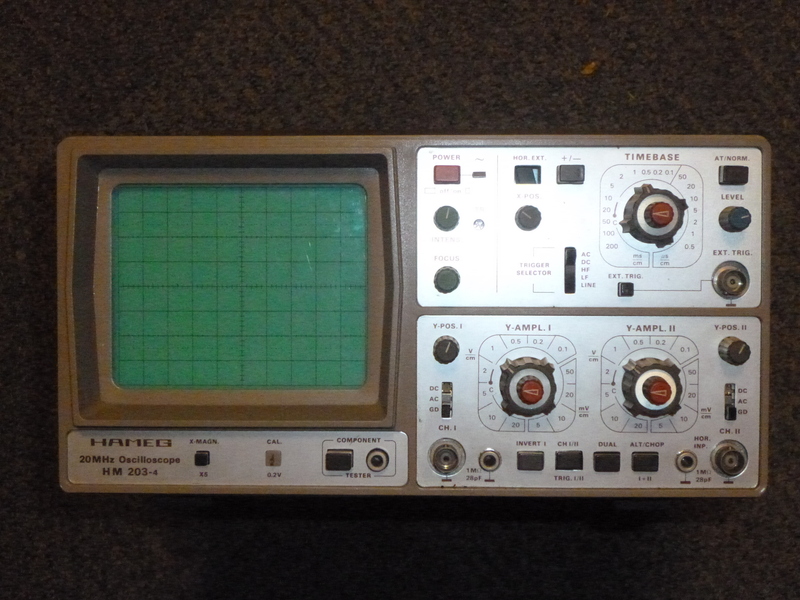 It was sold as “For parts or not working” as the seller didn’t know anything about oscilloscopes or how to use them. I do love that there is a warning about the X Ray dosage! Although it was sold on eBay as good condition, one of the buttons was missing. Fortunately I was able to see it inside the casing and so wasn’t too worried. So its time to crack it open and see what’s inside . 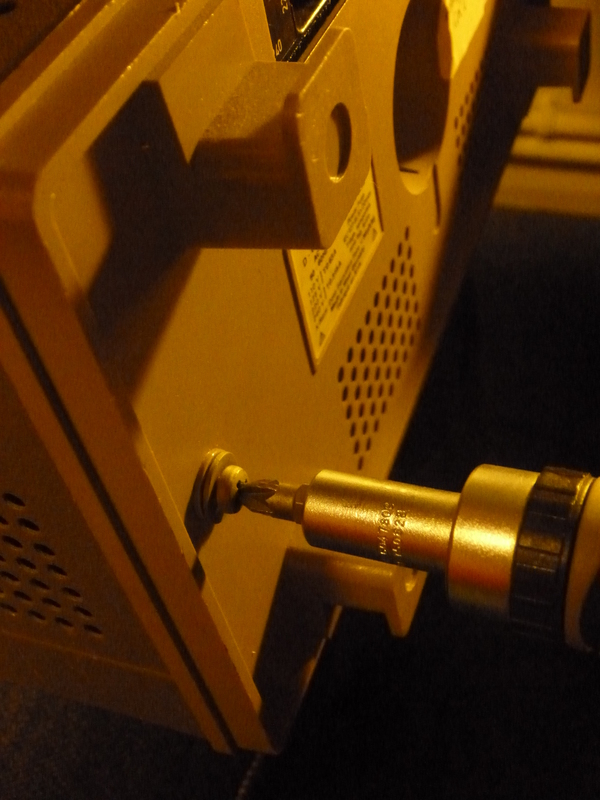 . . Just two screws on the back and the whole metal chassis slides off. With the metal chassis removed we get our first glimpse into the home of the magic smoke. Just as I had hoped the missing switch was just a case of the shaft having popped out of the holder, I wonder what happened. . . So now that is fixes, here are some specs. Its a dual channel scope with a bandwidth of 20 MHz its not the fastest beast out there but then its not the slowest either, backed up by a max input sensitivity of 2mV/cm. One feature I’m interested to try and think might be pretty good for me as a student is the component tester. to make matters even better its apparently recommended for the training of engineers, perfect. I was amazed to find capacitors without venting on the top! 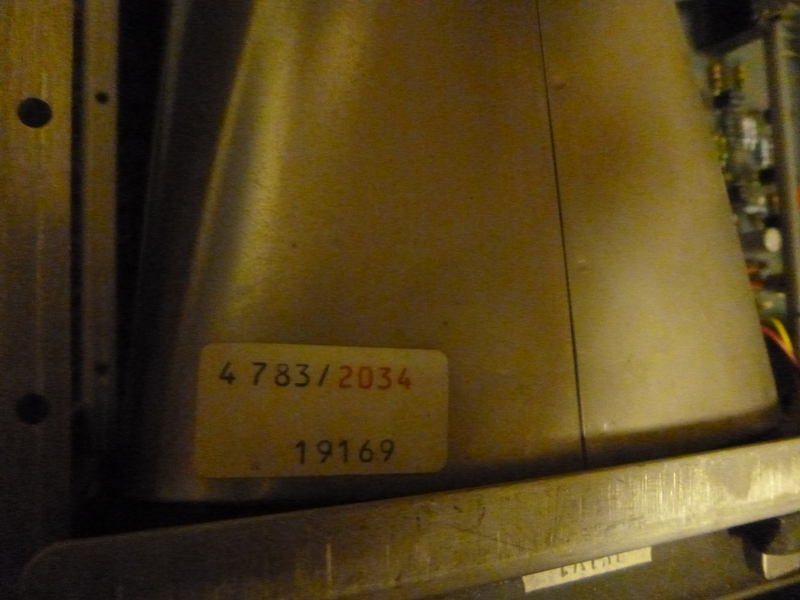 At least the CRT was made in 1983.